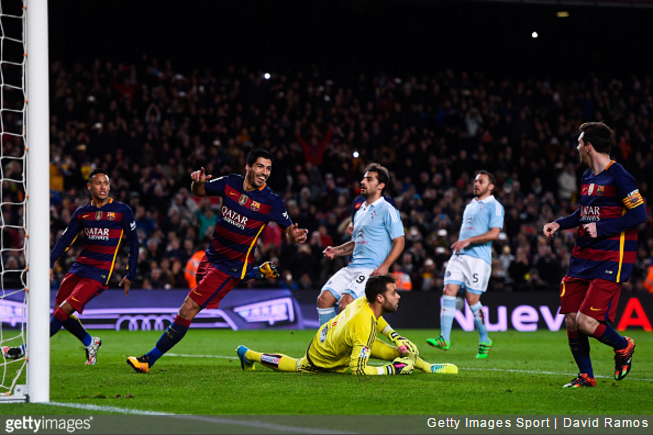 The whole world was set ablaze last night when Lionel Messi and Luis Suarez combined to pull of an astonishing tandem penalty routine in Barcelona’s 6-1 pummelling of Celta Vigo. However, like a jilted bride left sobbing at the altar, Neymar subsequently revealed that Messi’s penalty pass was actually meant for him – right up until greedy guts Suarez horned in on the action and stole his goal away. Just admit it son, you despise him. You despise him with the intense burning passion of one thousand collapsing supernovas. The penalty was it fair?